Sydney Nathaniel Gould, the eldest surviving child of the author Nat Gould and his wife Elizabeth Madeline, was born in Redfern, Sydney, Australia on 26 January 1888. Nat Gould wrote of his son’s birthday that “On the Centenary Day, January 26, 1888, my eldest son was born, amidst the firing of cannon, the roar of fireworks, and a general scene of jubilation celebrating the founding of the colony a hundred years before. Had he been lucky enough to have been the first baby born on that day, he would have received a hundred pounds from the Governor. I believe he came in a good second” (1). As a young boy a few years later, Nat Gould recorded that “My eldest son recollects with clearness a race he saw at Randwick, Sydney, when he was but six years old, and I shall never forget him jumping on the seat of the stand and shouting, ‘Ma wins! Ma wins! That’s ma’s horse,’ and the laughter and pats on the back he received. His mother had drawn the horse in a sweep, and had told him what the colours were (2). In 1895 Nat Gould returned to England, with his wife, two sons and a baby daughter, and settled in Bedfont, Middlesex. Sidney Nathaniel Gould (3), along with his younger brother Herbert Ruska Gould, was sent a short distance across the river Thames to board at Highfield School in Chertsey (4). After leaving school, he worked for a time farming at Bradbourne where his father had worked as a young man. Nat Gould wrote “The old farms are still carried on by my Cousin Frank at Haven Grange, and my Cousin Edward Wright at Park Gate. Strange to say, my eldest son is farming with my Cousin Edward, as I did with his father in the long ago” (5). In 1911 Sidney Gould was at home, working as his father’s private secretary. By 1913 Nat Gould had also placed his Homovet business entirely with his son, on the clear understanding that he was no longer to be troubled with it. Although a good trade had been built up, with glowing testimonials as to its efficacy both on man and beast, cash flow became a serious problem. Sidney wrote in despair to his father’s bachelor cousin Charles Wright, a gentleman’s outfitter in Bakewell, appealing for help (6). Sidney enlisted in the Royal Naval Air Service on 14 December 1915, but was discharged as unfit on 29 June 1916. Yet five months later he was graded A1 by the Army at Hounslow Barracks. 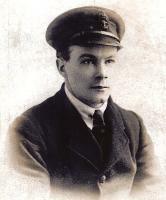 On 21 October 1916 he appeared before a local tribunal to argue for temporary exemption from military service on personal grounds, and contending that he had been discharged from the Royal Naval Air Service without valid reason. His father's health was deteriorating and he died three years later. After leaving the Navy, Sidney had resumed working as his father's secretary, carrying the burden of getting the books published (7). Sidney Gould also argued that he was being unjustly conscripted by the Army after serving in the Navy. It transpired that he had been discharged from the Navy because he refused inoculation, even though Sidney had never sworn that he was willing to be inoculated (8). The tribunal Chairman ridiculed Sidney. Although he asked the Military Representative present to assist Sidney's reinstatement in the Royal Naval Air Service, nothing came of it. Sidney duly enlisted in the Army on 6 November 1916, understandably stating that he had no wish then to serve in the Navy (9). On 9 October 1916 Sidney Nathaniel Gould married Alice Ethel Butler. She was the daughter of Henry Butler, a farm hand born in Bedfont in 1852 and his wife Emily born in Fulham in 1863. The wedding took place by licence in Staines Registry Office, and neither family seems to have attended. One month later, on 6 November 1916, the new bridegroom was called up, and found fully fit for general military service. He was immediately posted as a driver in the Third Reserve Brigade of the Royal Field Artillery. On 7 October 1917 he was posted to their Indian Establishment, embarking at Devonport, and disembarking on 26 November 1917 at Bombay. By 15 December he was serving in Hyderabad, and on 31 December transferred to Poona for duty with the Mounted Artillery Division. Separated by the War from her husband, Alice Gould did not go either to her own family in Bedfont nor to her in-laws at Newhaven, but went first to Old Windsor and in 1917 to Steeple Claydon in Buckinghamshire. The first child of Sidney and Alice Gould had arrived. She was named Joan Isabel Mary, born in Windsor on 27 February 1917. A second daughter, Stella Alice was born on 23 May 1918 at Steeple Claydon. When the First World War ended Sidney Gould was still serving in India, by then a corporal, but did not yet qualify for demobilisation. On 11 May 1919 at Quetta he signed a declaration that he had suffered no disability due to military service. However on the next day he was declared medically unfit to spend another hot season in India, and three days later he embarked for England on the A.T. “Canberra”. Probably a compassionate commanding officer was allowing him to return home. His father Nat Gould, suffering from then untreatable diabetes, died on 25 July. Sidney arrived just in time to see him, and then arrange for the funeral. He was retained for military service, but on 6 July 1919 was transferred to the Army Reserve. His military character was recorded as Very Good. Able then to continue civilian life, Sidney Gould took care of his widowed mother as well as his own family. Nat Gould had died leaving twenty novels still unpublished. Sidney had to prepare them for publication, and they appeared in print over the next few years. He himself wrote a novel under the pen name “Nat Gould Jnr” (10). 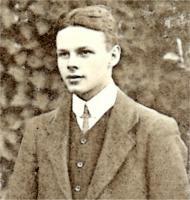 On 11 October 1921 Sidney Gould applied for the military medal to which he was entitled. He received it on 30 November 1923 while living at Crow Trees Farm in the middle of Kniveton village in Derbyshire. Sidney and Alice Gould later returned to Middlesex, living in Hounslow. Sidney Nathaniel Gould died in St Luke's Hospital in Paddington, London on 1 July 1962. His funeral took place at Bedfont church five days later (11). Alice Gould died on 4 March 1963 at Stanwell in Surrey. Joan Gould died unmarried on 16 January 1996. Stella Alice Gould was married at Staines Registry Office on 4 May 1940 to Ralph Harry Clay, the son of Charles Henry and Florence Clay. Ralph Clay died in 1989 and Stella Alice Clay in 1999. They had two daughters. (1) The Magic of Sport pages 150 and 151. (2) Sporting Sketches pages 139 and 140. Nat Gould added that "It may be thought very sad, and awfully wrong of me to have taken the lad to a racecourse, but I have not discovered any harm arising from this early introduction to the Turf. My own impression is that it is much better to let a lad know the world, and see what there is to be seen, than to bottle him up in a stifling atmosphere of sham morality. Depend upon it the ‘tight rein’ in youth causes the ‘kicking over the traces’ later on. It is not fair to a lad to rush him into school life after closely ‘stabling’ him at home; and do not forget that a boy devoid of mischief and fun is as unnatural as a two-year-old without playfulness, or those little tricks of his own which so try the patience of his trainer”. (3) By then he had adopted the name Sidney, which he kept for the rest of his life. Sydney was sometimes used as a girl's name. (4) Highfield School in Chertsey was then being run by its proprietor and headmaster William Tranter with his wife and brother. There were five assistant schoolmasters and 60 boy pupils aged from six to sixteen. The two Gould boys were aged 13 and 8, Herbert being one of the three youngest in the school. Both had probably been educated there from the age of five years. (5) The Magic of Sport page 211. (6) Norman Comben Collection, The Welcome Foundation, London: MS 7568. (7) Nat Gould avoided the business side of his work. Middlesex Chronicle 22 March 1913. (8) Actually he had been vaccinated in infancy, but would have had no choice then. (9) Middlesex Chronicle 28 October 1916. (10) The novel Sable Star was published in 1937 by Herbert Joseph Ltd.
(11) Middlesex Chronicle 13 July 1962.